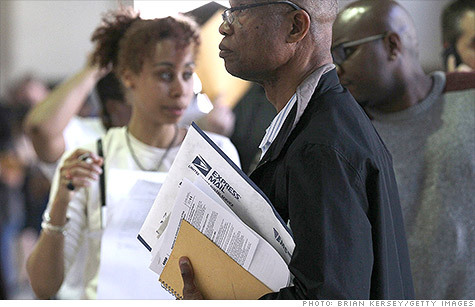 The Postal Service posted a $5.2 billion loss in the quarter ending June 30. WASHINGTON (CNNMoney) -- The U.S. Postal Service's financial struggles continued into 2012, as the agency reported a $5.2 billion loss for the three months ended June 30 despite improved revenue from shipping and packaging. The service said a congressional mandate to prefund retirement health care benefits continued to cause deep losses. A decline in the volume of mail that most Americans use also contributed toward losses. Compared to the prior quarter, the Postal Service reported 9% growth in revenue from shipping and packaging. But the extra $3.3 billion from shipping wasn't enough to offset losses. The $5.2 billion net loss was wider than the $3.1 billion loss posted during the same period in 2011. First-class mail -- the kind most Americans use to mail letters and pay bills -- took another hit in the latest quarter, with volume falling 4.4% from the previous quarter. And the mandate to fund health care benefits, a $5.5 billion tab that was due to the federal government on Aug. 1 --but did not get paid -- continued to drag on the Postal Service's balance sheets. The service defaulted on that payment and will default on another $5.6 billion payment due Sept. 30, unless Congress steps in. "Congress needs to step up and be responsible. This is no way to run any kind of business," said Postmaster General and CEO Patrick Donahoe on Thursday. "This is a ridiculous situation. We need to have action. We need to have responsible legislation...so we can focus on advertising mail and shipping, where we're seeing big growth." This quarter's shortfall brought total losses for the year to $11.6 billion, compared to $5.7 billion for the same period a year earlier. Nearly 80% of the losses in fiscal 2012 are due to the law requiring that the service prepay retiree healthcare benefits. Congress required the Postal Service to prefund those benefits back in 2007, as a way to ease federal deficits. "If Congress would step up and fix the pre-funding mess it created, then the Postal Service could focus on developing a business plan for the future that would meet the challenges of an evolving society while taking advantage of opportunities such as e-commerce," said Fredric Rolando, president of the National Association of Letter Carriers. The Postal Service used the loss announcement as an opportunity to push its plan to stem the bleeding, which includes cutting Saturday service, consolidating postal processing plants and addressing the mandate to prefund health care retirement benefits. If Congress doesn't act, the Postal Service could start to run out of cash for a few weeks in October and then again next spring. The Postal Service isn't waiting for Congress to cut some costs. It's in the process of closing or consolidating 48 mail processing plants, a process which should be completed in coming weeks, which could displace as many as 5,000 workers. The service also offered retirement incentives to mail handlers and postmasters and now expects 8,000 employees to retire by the end of the year. The Postal Service is, by law, an "independent establishment" of the executive branch. The agency doesn't normally use tax dollars for operations, but it has a $12.6 billion loan from Treasury.